All members are welcome and encouraged to use this thread to chat about this month's HOTM entries, even additional pics are welcome here that are not being entered if you have more than one that fit the theme or just don't have enough posts yet to enter the official competition. And just to start things off, I love all the entries so far. 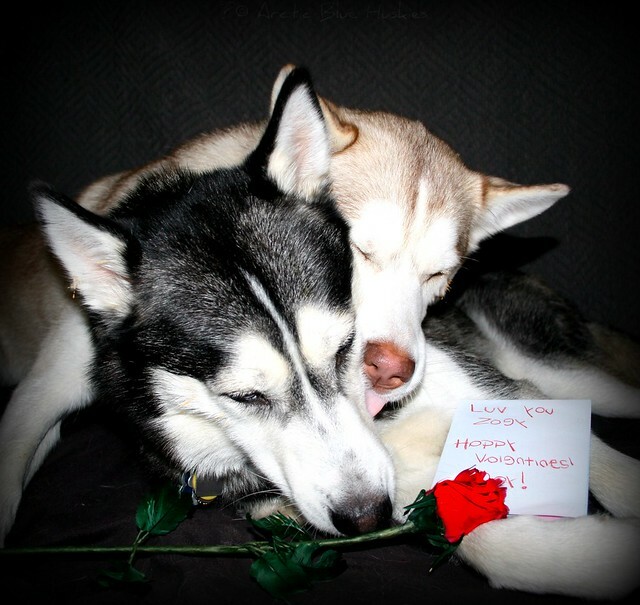 Cuddling huskies are going to be a real heartbreaker this month! Gotta give my props to you Jenn, that photo of Jack and Sierra made me melt! Awesome shot! thanks Val! we were driving back from the hike in the stupid rental car and we were at a stop light and i just looked back, thought oh how freaking cute and grabbed my camera! they look like Siamese twins! 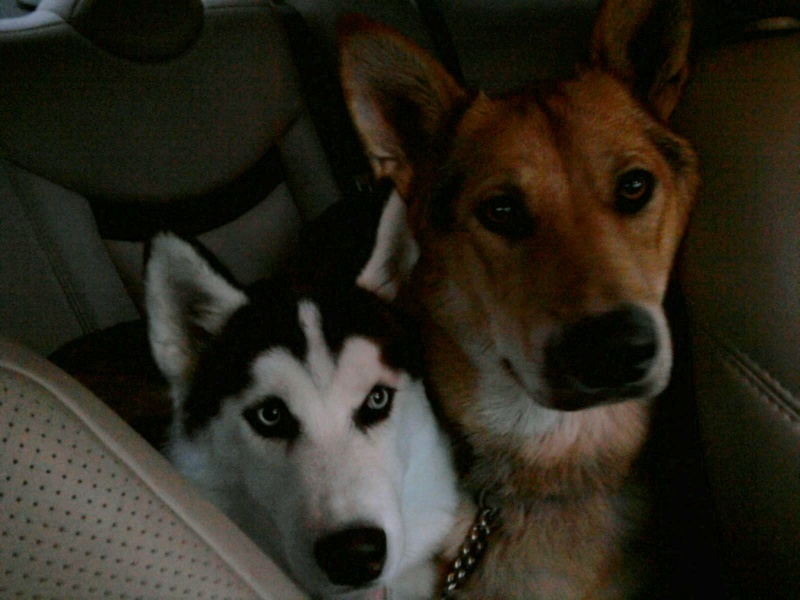 Very cute everyone I have GSD and a Husky and they do not cuddle that I know of. Maybe I will have to keep a closer eye on them. Jenn, you are lucky you were able to catch them like that! Mine usually move whenever I try to take a picture of a perfect shot. Deb, hopefully you'll get lucky and catch them in a special moment. how come it wont let me post in the HOTM picture thread? 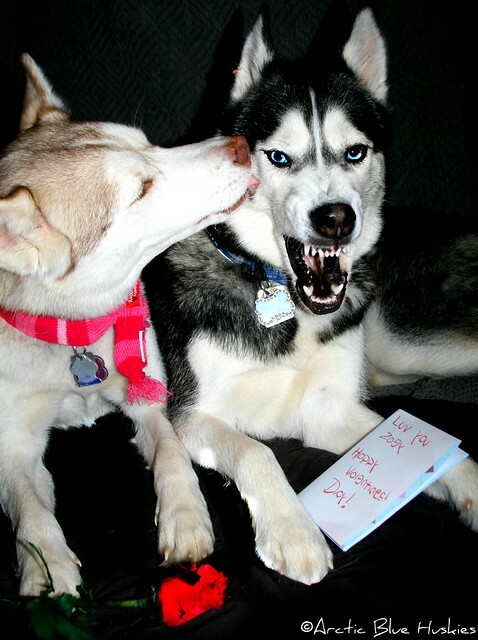 Tori i love the first one but koda is not happy! he is like will you get off me already there is a whole sofa here for you! 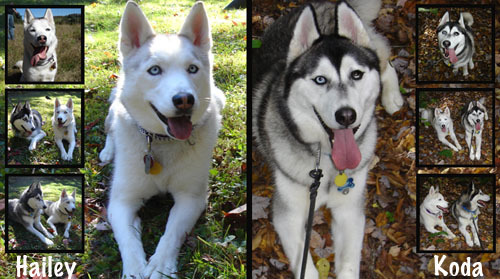 Tori: My vote goes to double-headed-husky-dog. I actually have a better shot, but there's a sun glare across Koda's neck For the record, I didn't pose them!! Because sunglares are totally bad all of the time maybe it'll give them some kind of monster look and I can be like "AMAGAWD DOUBLE-HEADED-HALO-HUSKY-DOG ATTACK!" 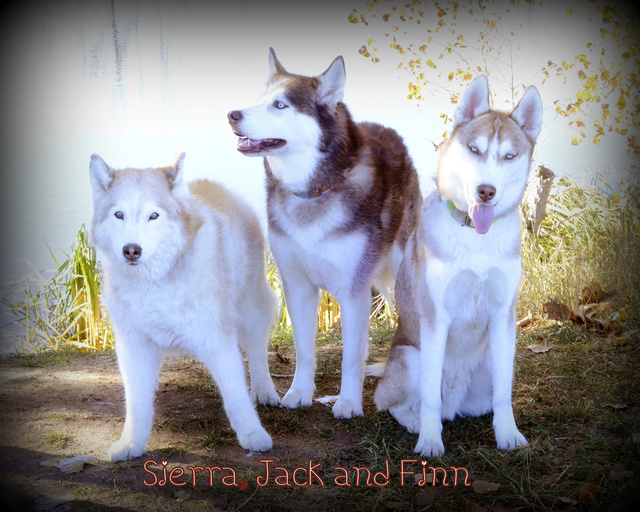 Wow I am loving the pictures of the huskies... Jack and Sierra may be my favorite I guess I am favoritism being Jack looks alot like my Blaze and I can not enter him this month. 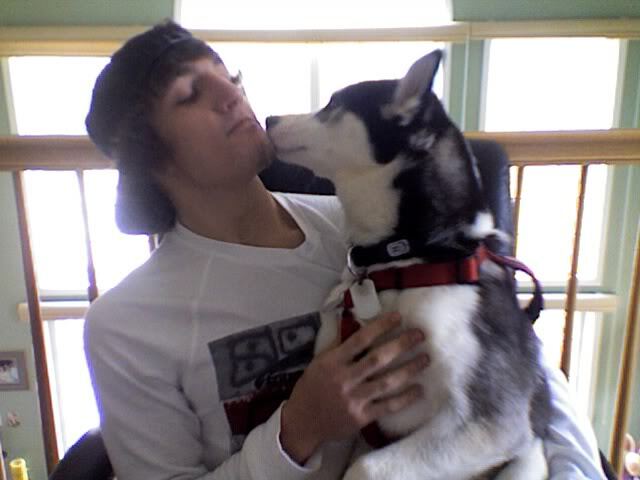 You know someone who doesn't have a Husky would think we are crazy with all the pictures or our babies..
Actually cute doesn't describe that. I'd say beautiful but that doesn't do it justice either . Be right back, searching for synonyms. Admirable, angelic, charming, radiant, delightful, divine, gorgeous, magnificent, marvelous...etc. But I really think that exquisite sums it up. Jennet. I love that picture it way way to cute. That is too funny Jennet! Tori, between the 2 you posted I have to say I like the first more...both are so cute though. The first one Zoey must have been a ninja and ambushed him while he was asleep! Here's my picture since I can't officially enter with less than 100 posts ! Aww, that is such a precious photo! Jennet I love the outtake photos!